Pre-mortem here means preventive memory dump analysis. It is similar to post-mortem analysis but artefacts are collected and analysed proactively before any actual problem. 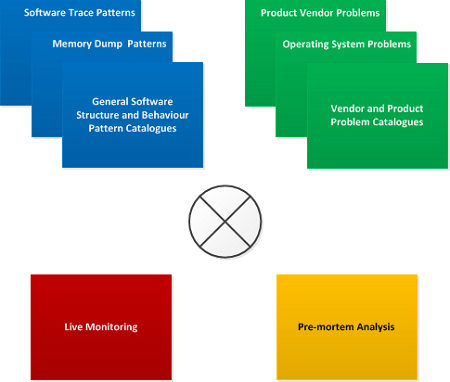 In some sense pre-mortem analysis is a part of live monitoring but we confine the latter to software trace and log analysis.